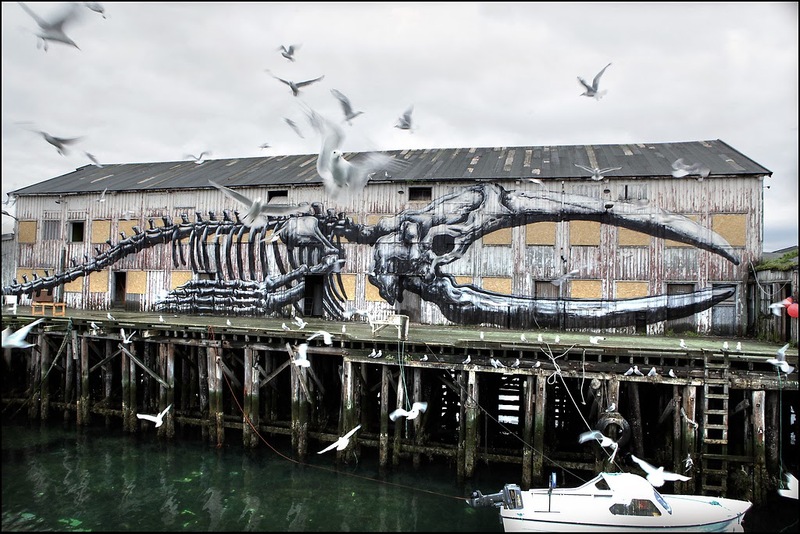 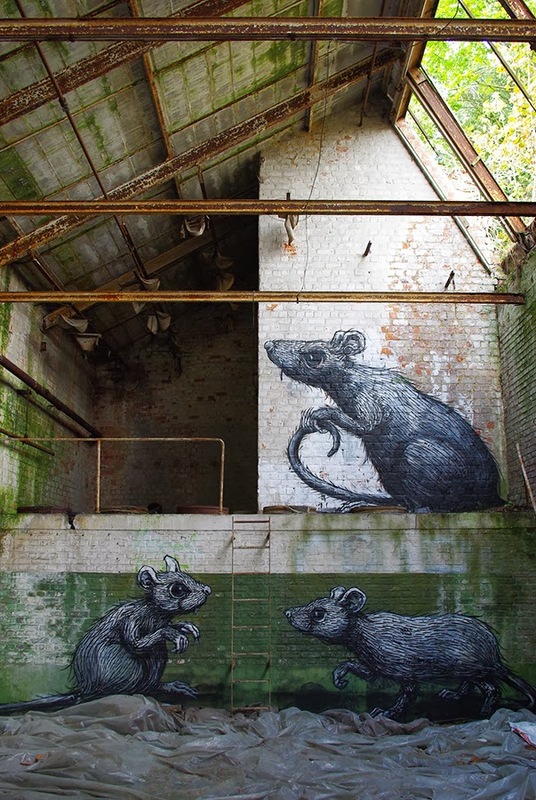 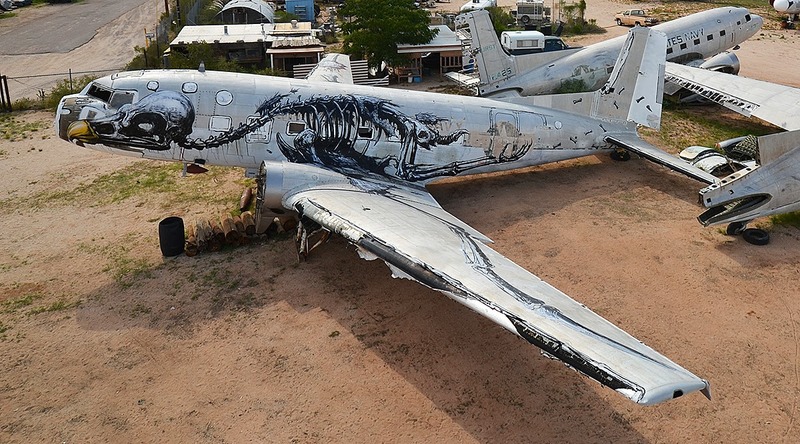 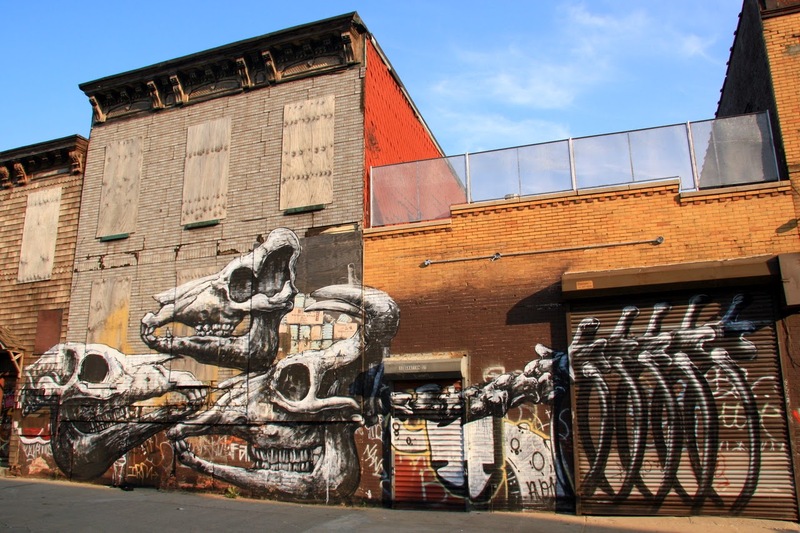 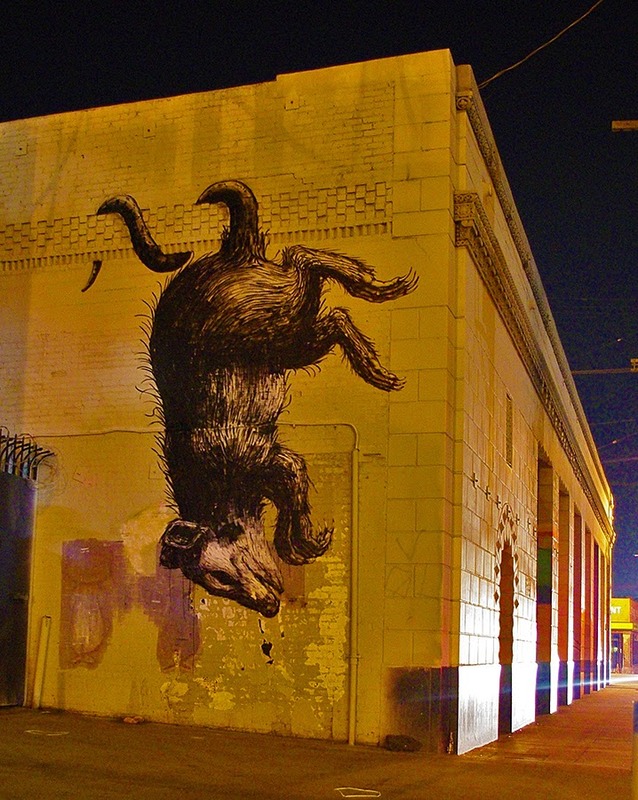 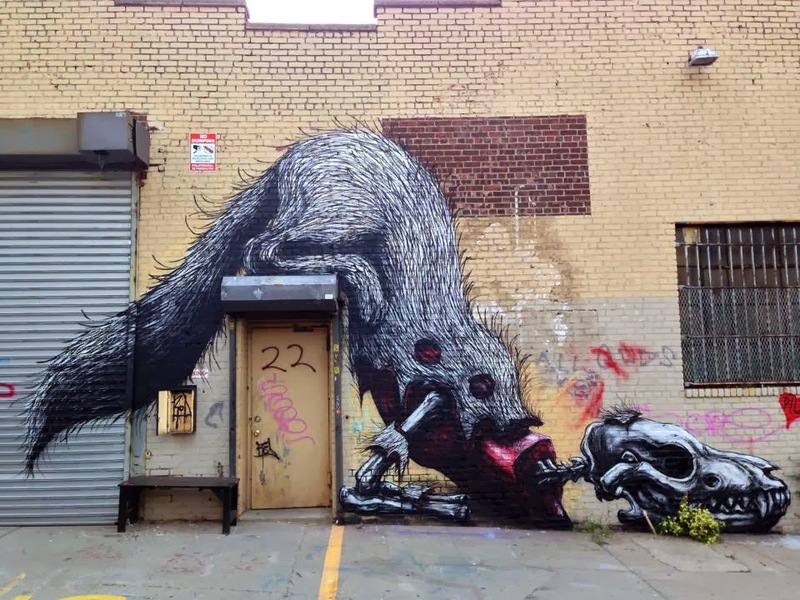 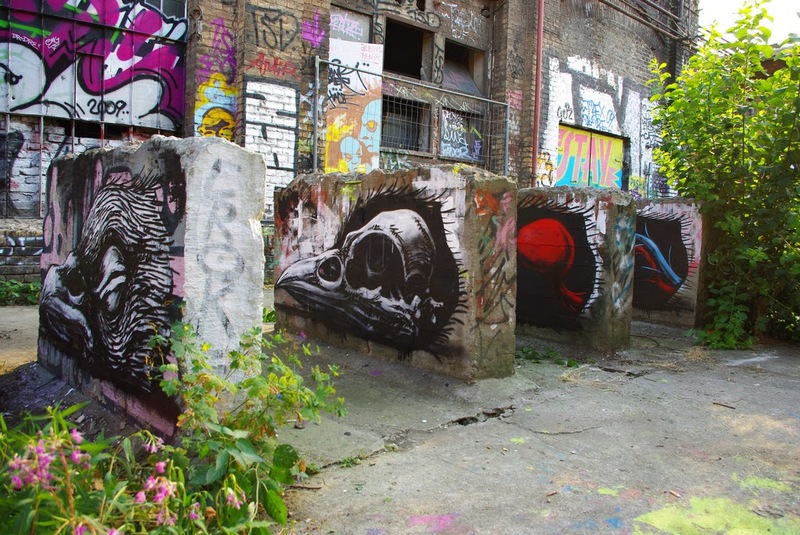 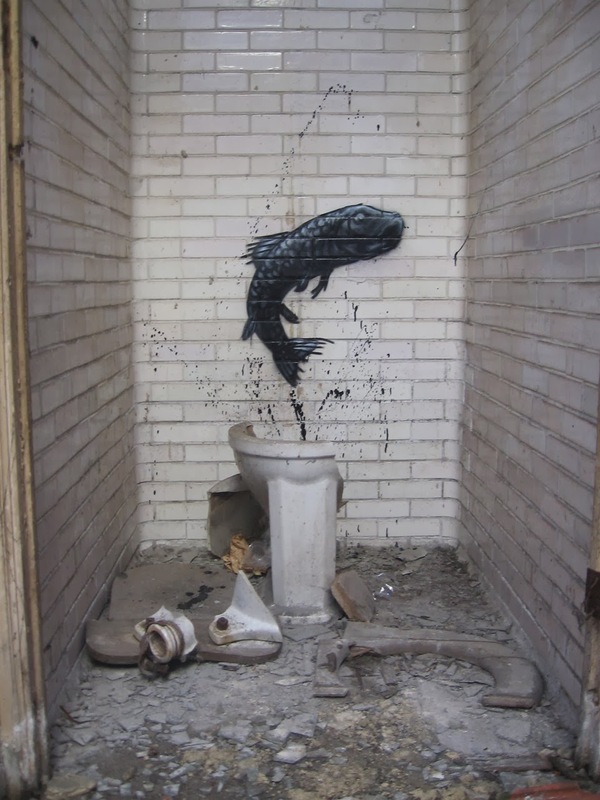 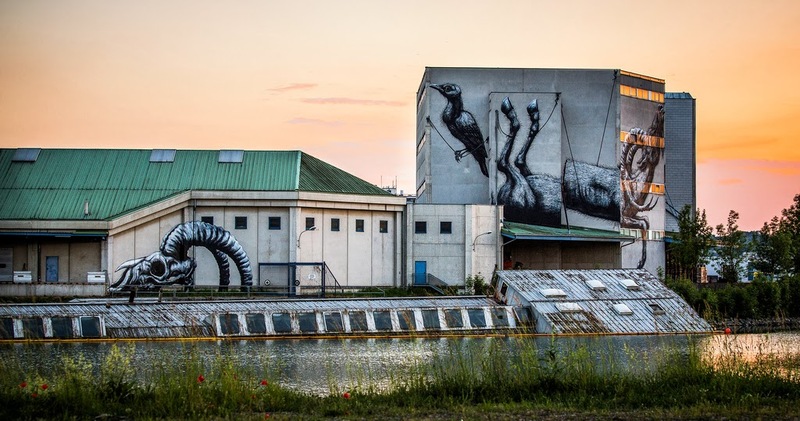 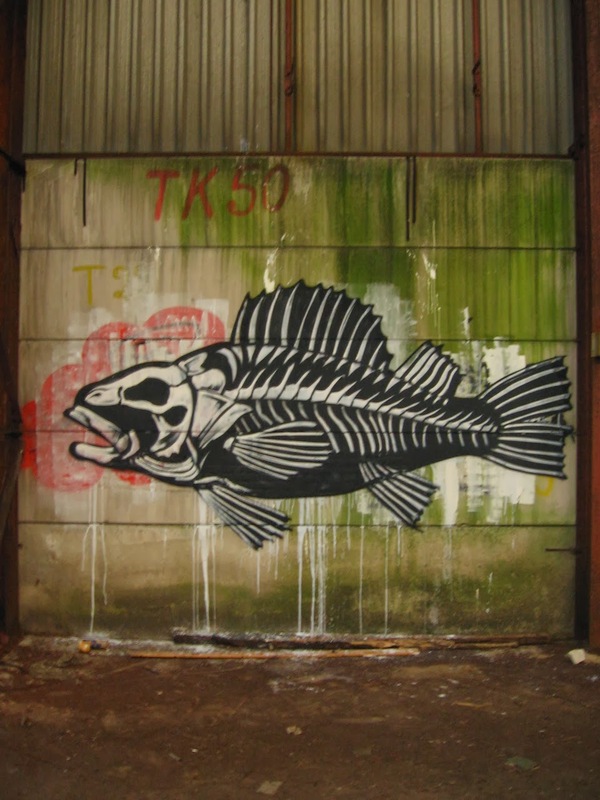 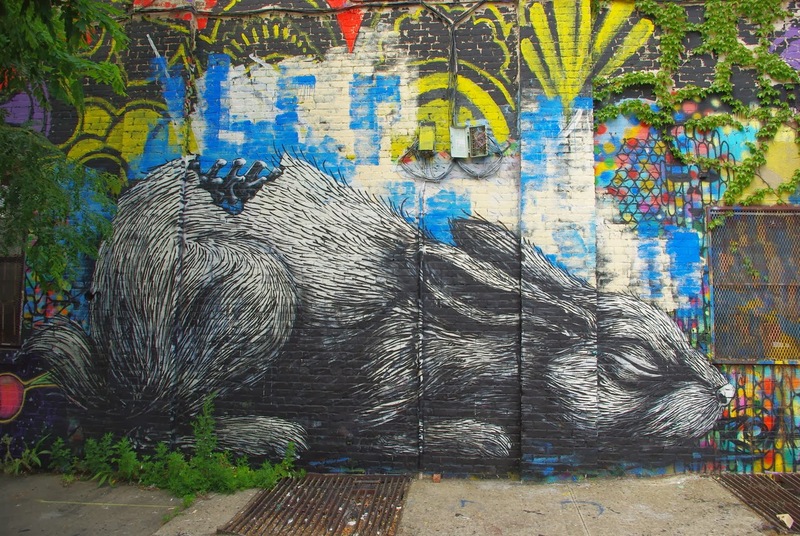 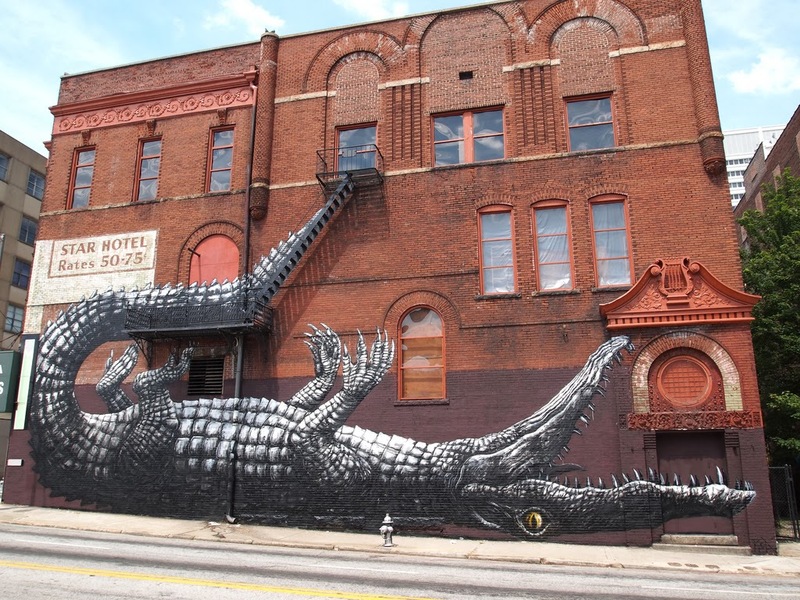 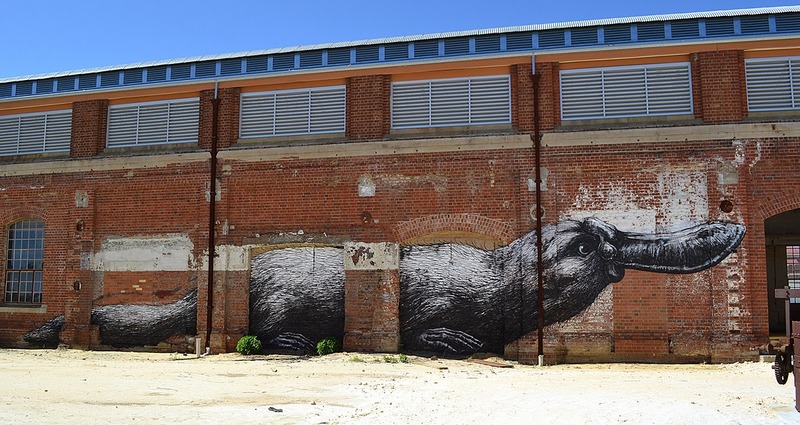 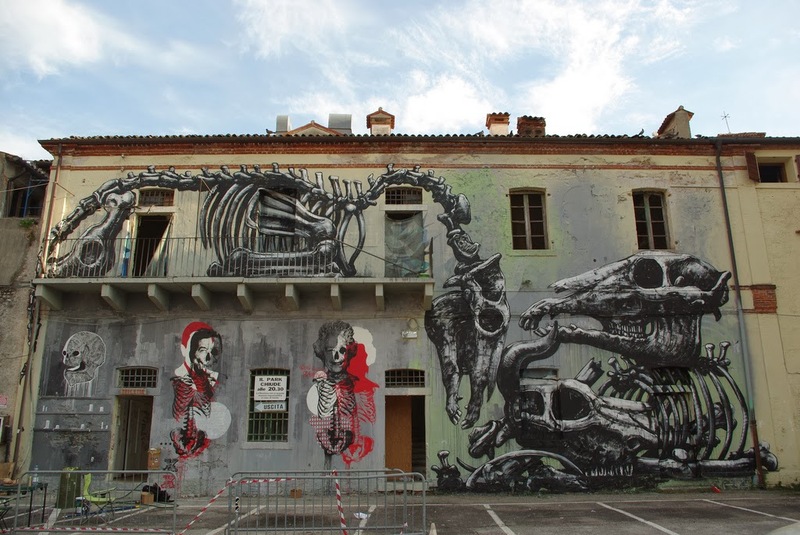 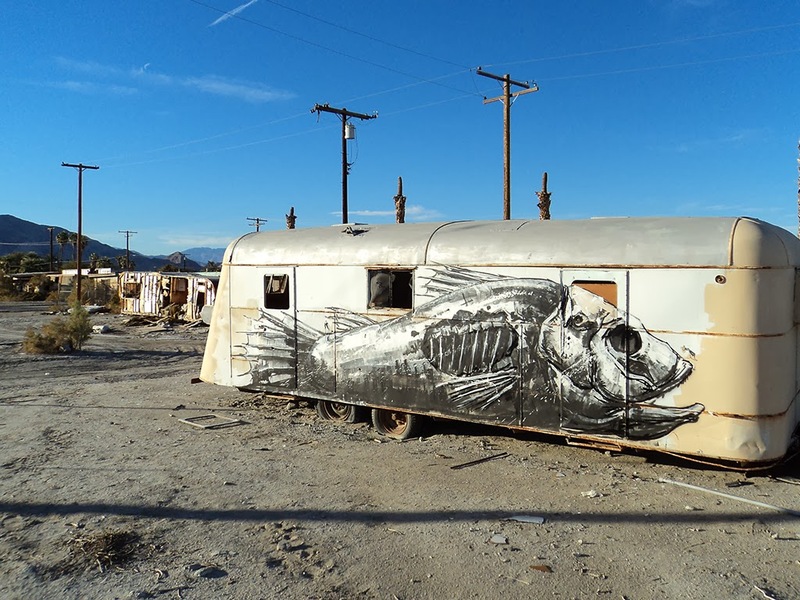 The Belgian street artist ROA began, like many others, by painting on old industrial units or abandoned buildings. 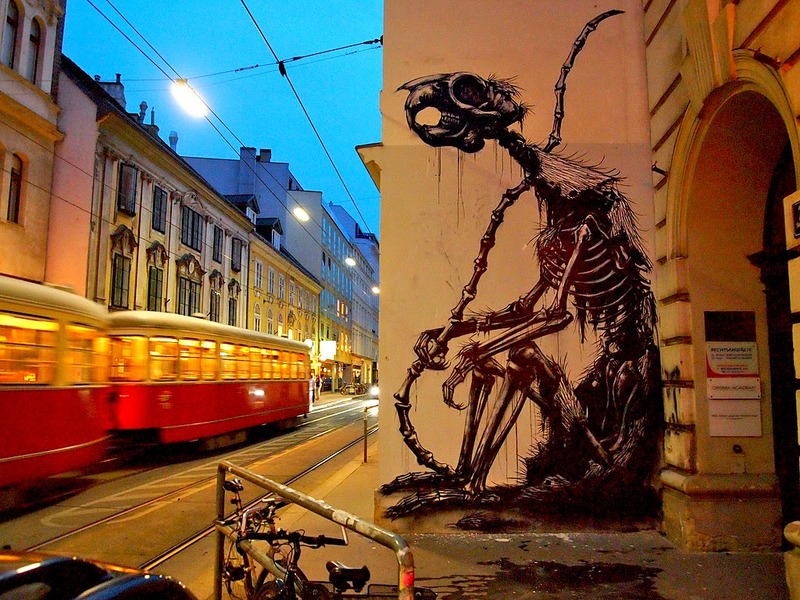 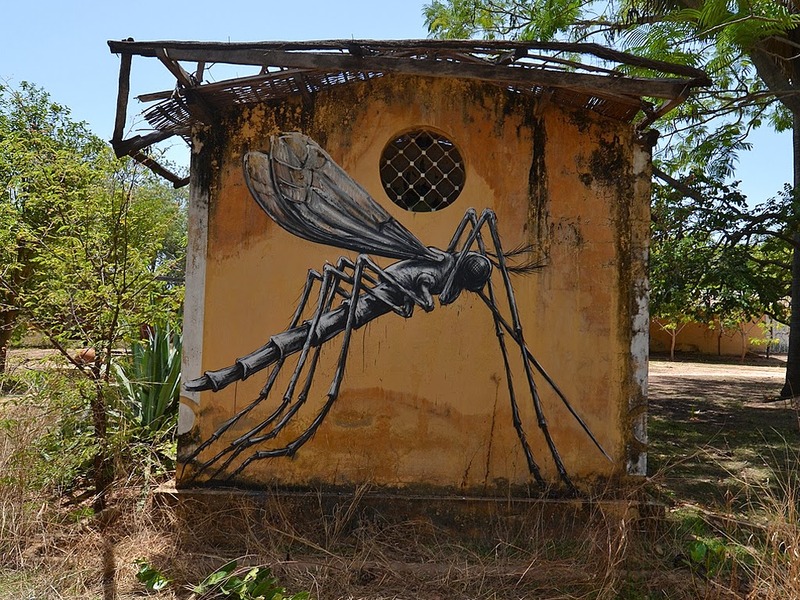 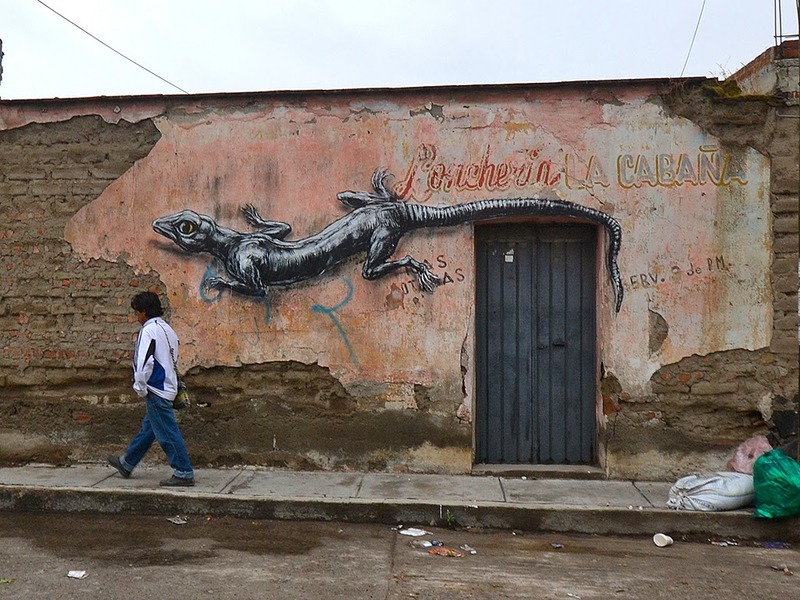 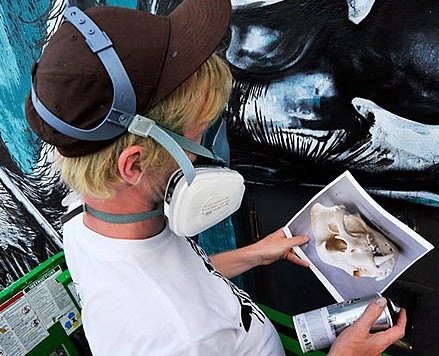 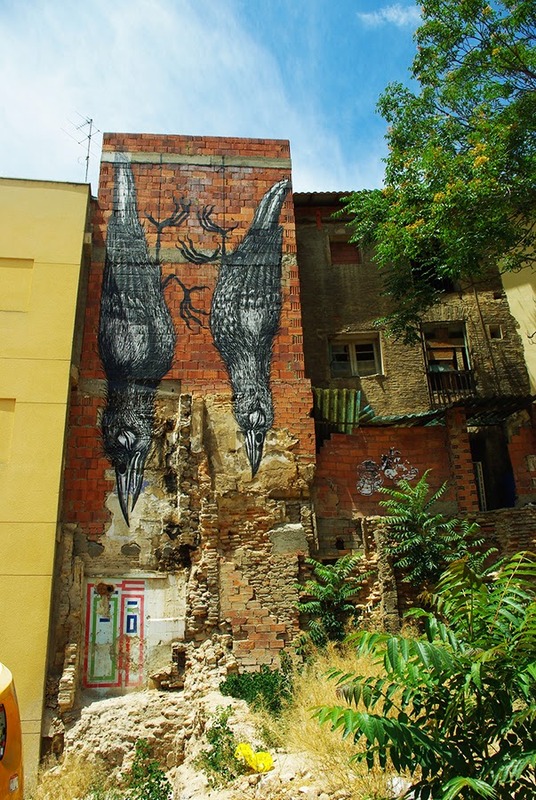 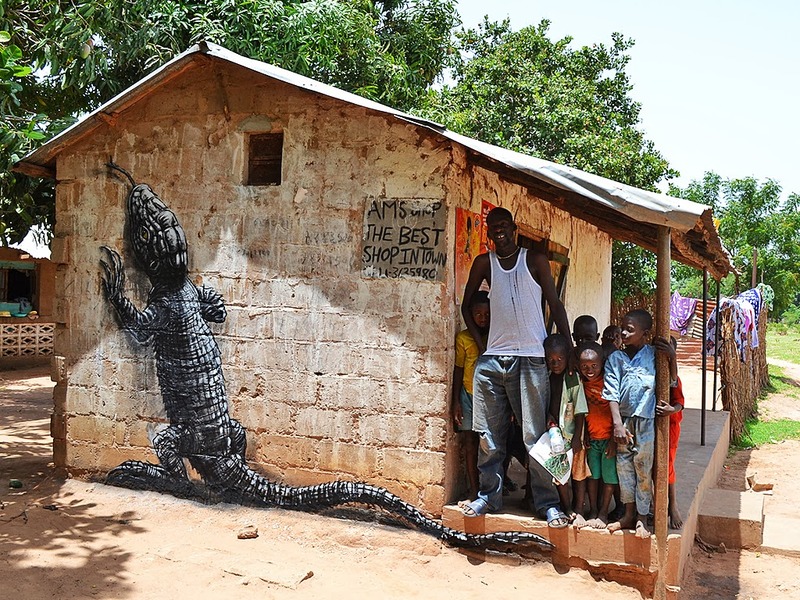 Today he has created works on the streets of cities around the globe. 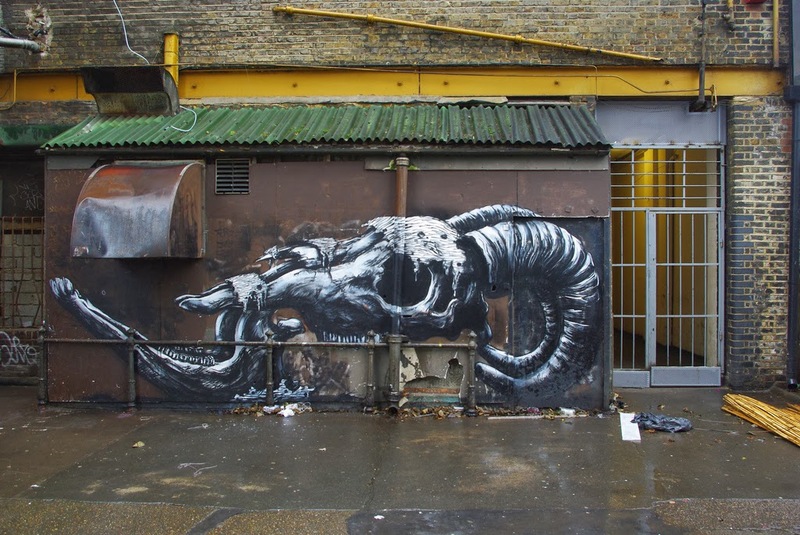 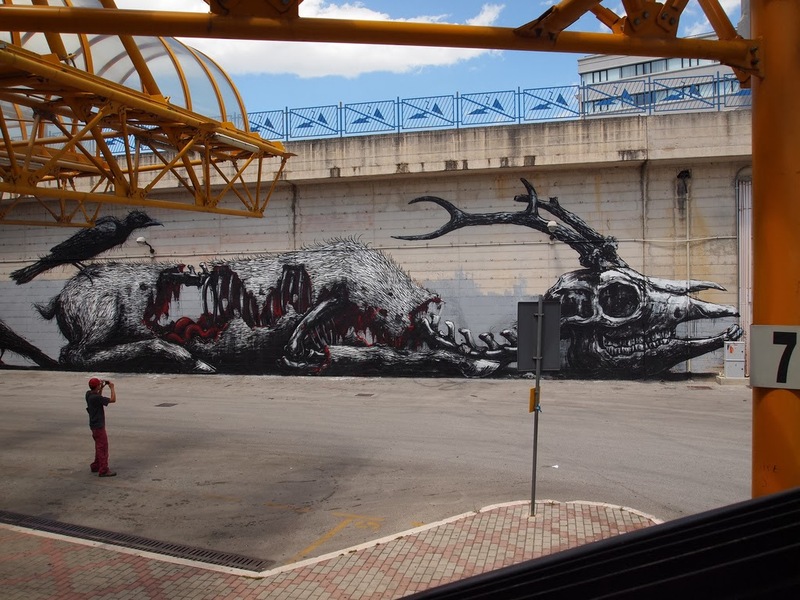 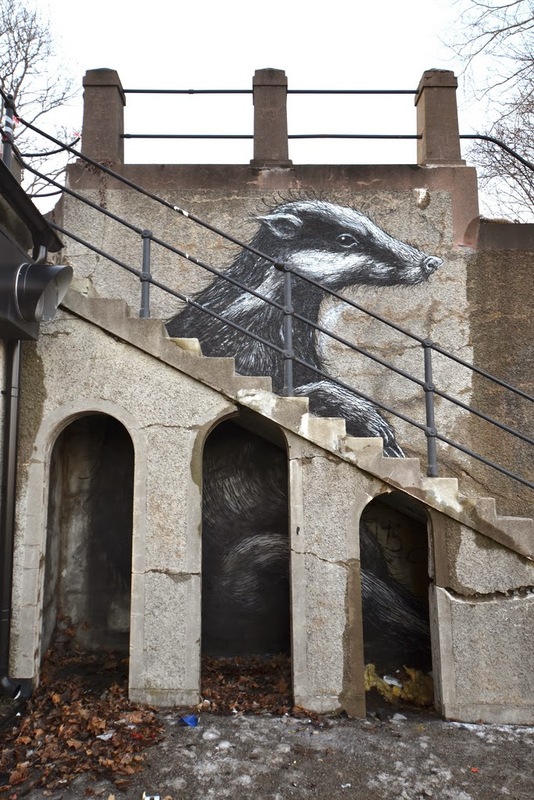 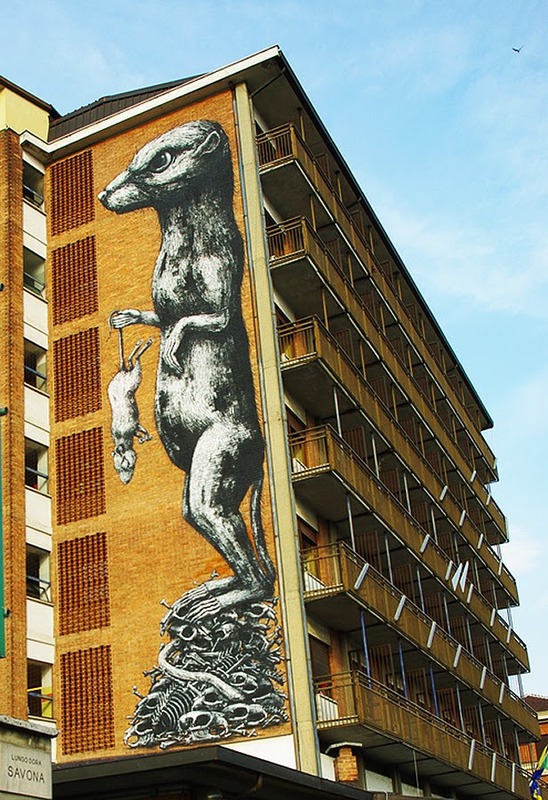 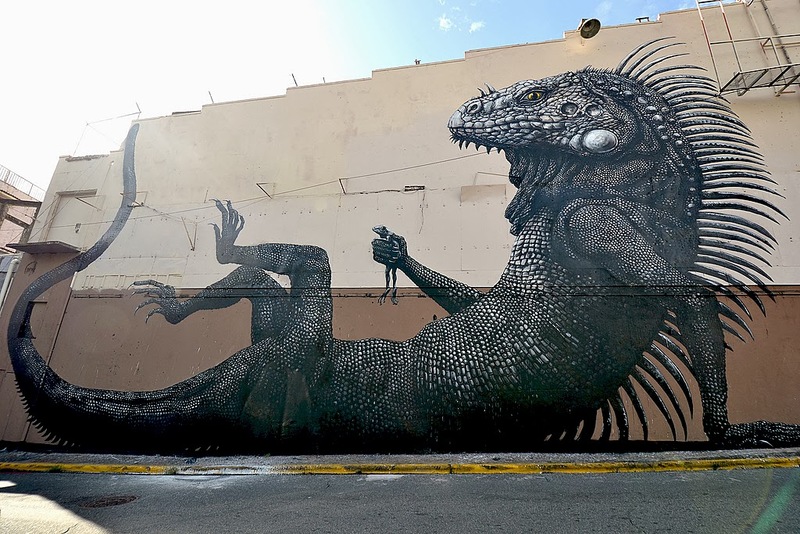 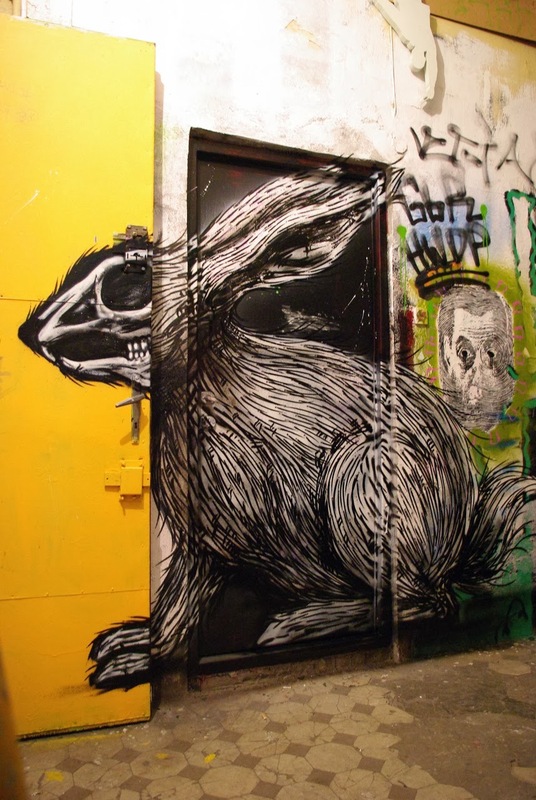 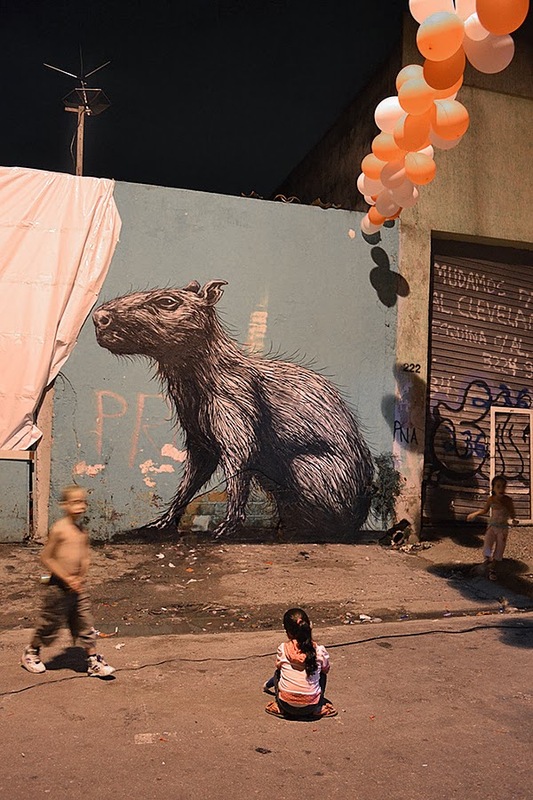 In 2010 ROA came to particular notice in the UK when the Hackney council threatened to remove one of his paintings, a 3.5m high rabbit that had been legally painted on the wall of a recording studio in Hackney Road, London. 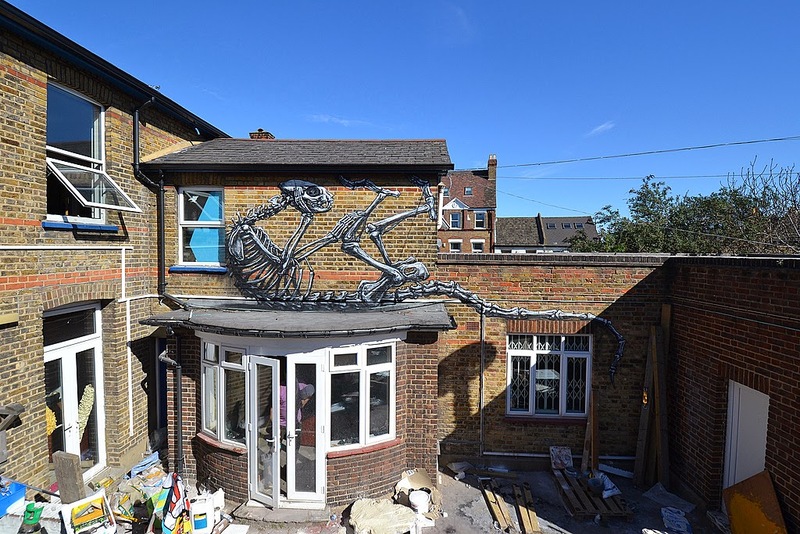 A campaign to keep the mural was launched by the building’s owners and local residents, forcing the council to change its mind. 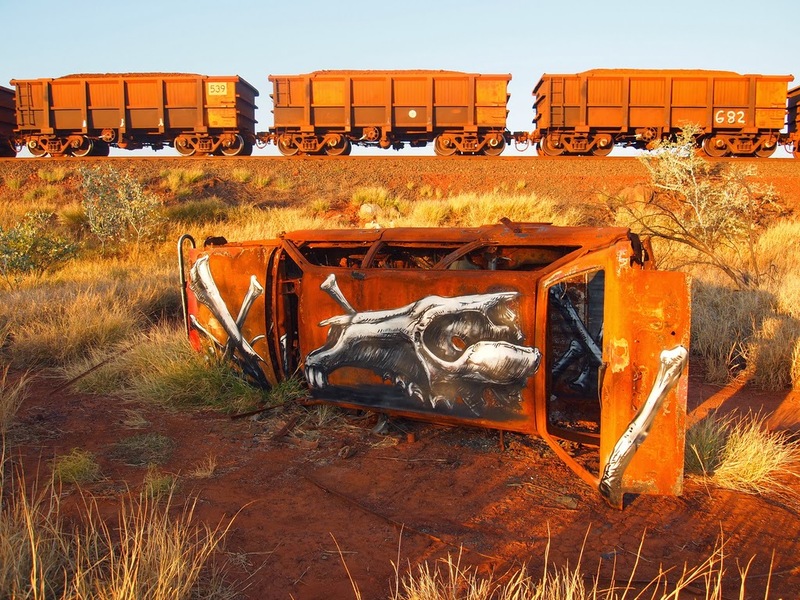 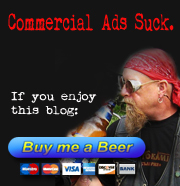 Since then he has reached International prominence, and has had several gallery shows and individual commissions.